You. Me. 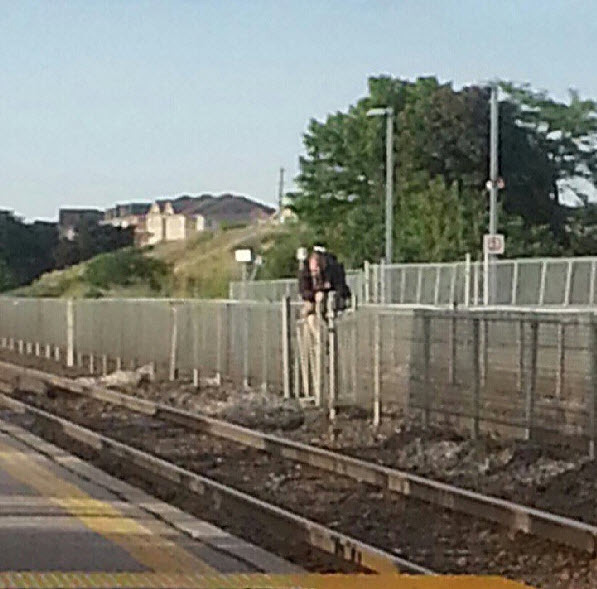 Ride This Crazy Train - Adventures and Observations on The GO: Is there something logistically wrong with Danforth GO Station that causes people to climb the fences between platforms? I'm going with laziness. They just don't want to walk to the end with the tunnel to get to the other platforms. Bust out your water guns as soon as he is at top of fence. That would be hilarious!